One of the biggest advantages of a flat roof Vienna Va installation from Beckworth LLC is the savings as compared to a traditional roof. 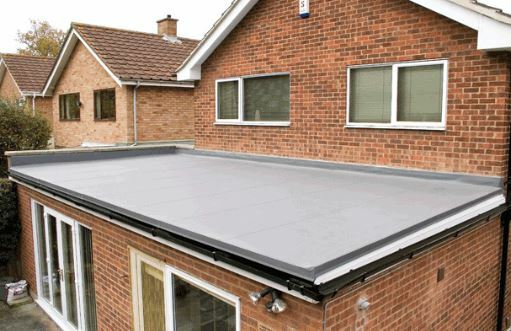 Although flat roofs do have their own advantages and difficulties along with their savings so it’s best to understand them before deciding whether this install if appropriate for your situation. Many outbuildings and large commercial buildings often have flat roofing but as for a residential option, the selection is usually circumstantial. The building and installation of flat roofs is significantly less other roofs because it requires far less material and measurements to make happen. Regardless of maintenance and upkeep, you can get flat roofing installed for under $1 a foot. Another great advantage of a flat roof is that it can double as storage space on the top of your home or even be converted into a roof garden or deck area. Solar panels are also very popular options for flat roofs. Another big advantage of a flat roof is that you have the ability to easily build onto the roof to add an extra room or even a separate living space to rent out to tenants. Cleaning flat roofs is a lot easier too compared to the sloped pitch of other roofs. Drainage is the number drawback for flat roof installations, if you are not properly draining water then you can have some serious problems. Even if you have adequate drainage its still common for there to be standing water on roofs so make sure it is properly sealed and insulated. Another thing that makes flat roofs kind of a pain is that they need to be replaced every 10-15 years. If you are still considering a flat roof then Call Beckworth LLC for a free quote. We will be happy to help you with any questions you have regarding whether a flat roof is a good option for your home.